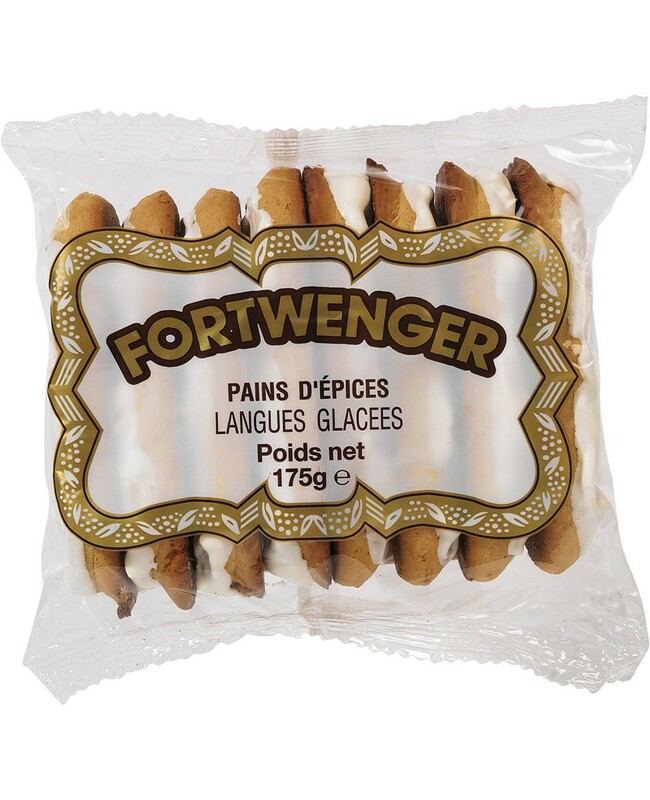 These iced gingerbread fingers conjure up memories of tea at grandma's ... A fond childhood memory shared by generations of Alsatians. Now is the time to rediscover them! Small almond coated with icing. 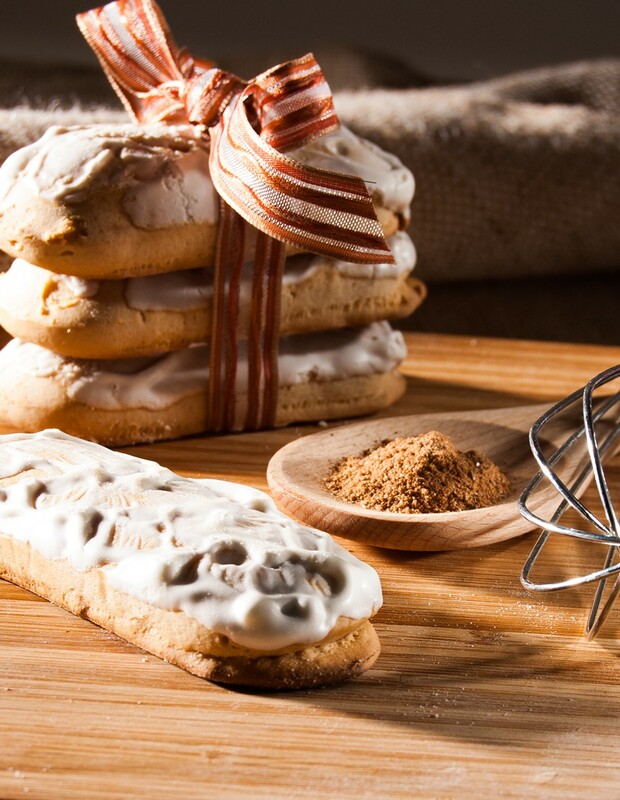 Iced sugared gingerbread (7%) : Wheat flour (gluten), inverted sugar syrup, sugar, humectant: sorbitols; honey, egg white, spices, raising agents: sodium carbonates, ammonium carbonates; cornstarch, orange flavouring. Gluten, eggs. May contain traces of milk, sesame seeds, peanuts and other nuts.